Gov. 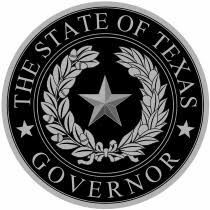 Greg Abbott reappointed Michael L. Vickers of Falfurrias to the Texas Animal Health Commission on Thursday, according to a press release from the governor’s office. The commission works to “protect and enhance the health of animal populations across the state,” the release said. Vickers was one of six appointments to the commission, and one of two that was renewed. His new term is set to expire Sept. 6, 2021. He received his Bachelor of Science and a Doctor of Veterinary Medicine from Texas A&M University. Vickers is the owner and president of Las Palmas Veterinary Hospital, Inc. and the chairman of the Texas Border Volunteers, Inc. He is also a member of the Texas Veterinary Medical Association and its bovine committee, the Director Nominating Committee for Capital Farm Credit, the Texas Farm Bureau and the Texas and Southwestern Cattle Raisers Association. In addition to Vickers, Gov. Abbott’s other appointments to the Texas Animal Health Commission are Barret J. Klein of Boerne, Dr. Wendee C. Langdon of Lubbock, Joseph G. “Joe” Osterkamp of Muleshoe, Keith M. Staggs of Gonzalez and Dr. Leo D. Vermedahl of Dalhart.